You've studied the footage, connected the dots, and gathered what meager evidence you could. You're close — soon the whole world will know the truth behind the Cryptid. A group of like-minded cryptozoologists have come together to finally uncover the elusive creature, but the glory of discovery is too rich to share. Without giving away some of what you know you will never succeed in locating the beast, but reveal too much and your name will be long forgotten! 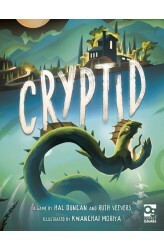 Cryptid is a unique deduction game of honest misdirection in which players must try to uncover information about their opponents' clues while throwing them off the scent of their own. Each player holds one piece of evidence to help them find the creature, and on their turn they can try to gain more information from t.. 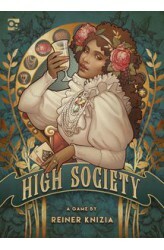 In Reiner Knizia's High Society, players bid against each other to acquire the various trappings of wealth (positive-number and multiplier cards) while avoiding its pitfalls (negative number and divisor cards). While bidding, though, keep an eye on your remaining cash - at the end of the game, even though all those positive-number cards might add up to a win, the player with the least money isn't even considered for victory. 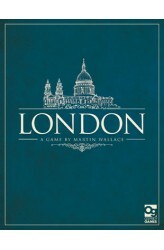 https://youtu.be/2WfAJeK5aIY ..
A brand new edition of a popular classic, London will appeal to the strategic thinker among board game fans. Tasked with rebuilding London in the decades following the great fire, players juggle building requirements, bank loans, and poverty as they strive to realize their vision for the city. The game features a unique mechanism of playing cards to develop the city, then "running" the city by taking all the card actions simultaneously. Players have to repay all their loans before the game ends, but need to worry only about how much poverty they're creating relative to the other players. .. Legendary explorer Percy Fawcett marched deep into the Amazon in search of El Dorado. He was never seen again. Your team has gone in search of him, but now you hope to escape the jungle with the greatest treasure of all: your life. Make the best of your food, your ammunition, and your health in The Lost Expedition as you plunge deep into the jungle. Choose your path carefully to ensure you're ready for the pitfalls that may occur. 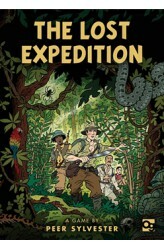 Play solo or cooperatively to survive the expedition, or play in teams to see which group can escape the jungle first. https://www.youtube.com/watch?v=zE_Arw5BAKo .. 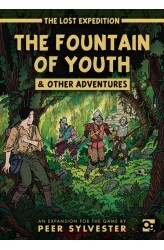 The Lost Expedition: The Fountain of Youth & Other Adventures expands the base game with four new, modular additions. In The Fountain of Youth & Other Adventures, Francisco de Orellana and his band of conquistadors traveled deep into the Amazon and were never seen again. Centuries later, unbelievable reports of men clad in ancient armor armed with sword and arquebus have surfaced. If the rumors are true, de Orellana found the Fountain of Youth and guards it dearly... Other reports have emerged from the area of a mysterious mountain deep in the jungle, pulling planes crashing down from the sky. There are whispers, too, of a dark curse that the locals call only the Mark. For those foolhardy enough to still journey into the depths of the continent, they best not t.. The great evil has fallen, and has taken the capital with it. Where once there was a kingdom, there is now only the Wildlands. In a lawless fantasy world, you must band together for survival, treasure, or maybe even glory. Players control rival factions, each with a unique deck of cards dictating their abilities across the battlefield. Some focus on ranged prowess, some on raw strength, and others on the bond between characters, offering a wide range of playstyles to explore. 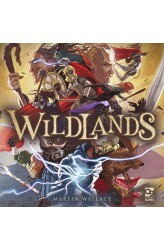 Created by award-winning game designer Martin Wallace, this miniatures board game contains everything you need to dive straight into the dynamic fantasy world of Wildlands. Simple enough to pick up and play, but packed with tactical nuances that will keep you coming back for more, it is the perfect approac.. Some see them as heroes, bringing hope to the Wildlands. Others regard them as a menace, a band of criminals that must be stopped at all costs! Never shying away from danger, a bold adventuring party has joined the fray. 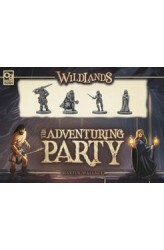 This band of hardened wanderers in Wildlands: The Adventuring Party can replace one of the existing factions, with their unique healing ability keeping them in the fight even when hope seems lost, or they can take to the battlefield using the "Encounter" rules to steal crystal shards and attack anyone who gets in their way. In more detail, when using the adventuring party as a faction, the player controlling them does not assign map cards to their individual characters. Instead, they choose five cards to pass to the player on th.. Within the Wildlands the word is spreading--the dead have not finished with the living. Refusing to yield to their own mortality, a nightmarish gang of undead miscreants have taken to the battlefield, striking fear into the hearts of all who oppose them. 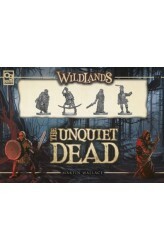 The Unquiet Dead introduces a new faction to Martin Wallace's Wildlands with the unique mechanic of common activation. Undead characters share activation symbols, giving players an aggressive new play style. The faction pack also includes an option for players to use the undead as non-player characters, with more undead flooding the board as battle rages. Please note that this expansion requires a copy of Wildlands. Components: 6 unique miniatures, 30+ cards https://..